WordPress themes with exclusive design 2016 from our collection are ready-to-use websites for various purposes. Possibly, if you are out of the subject, you have two questions. WordPress is an engine / cms / platform. It is commonly known that the majority of websites – from simple blogs to online stores – use ready platforms with many available developed templates. But one may call these templates “ready websites”. We use WordPress too, since it is the leading widespread platform in the world. What is a ready website / WordPress themes? This is how your website looks like and, surely, its functionality. We use a premium template called Koala for our website. It can be viewed by following this link; there you will find out more about its capabilities and features. Template, or ready website, is installed inside WordPress through “Appearance” page. Then you may customize your ready website, i.e. change all the elements as you wish. Besides, if you are interested in how we created and how much we paid for the Proficient-Business.com website, you may read the fresh and practical article with our example: How much does a website cost and how to create a website in 2016. All website templates that you will see below are in English. In fact, they support any language; they are built using the latest web development technologies, and feature clean code and responsive design. They are SEO-optimized and have many other features, which you may analyze separately for each template. We advise you to attentively and diligently analyze the website templates that you like to make a final choice. If you do not find a template for your website, leave a comment below the article, and we will help you to find and choose a ready template for yourself: from a simple blog to a ready online store. Asana is a pure, plain and modern WordPress template, which is suitable for any type of sport and dance studios, sports halls, health clubs, event agencies, etc. Asana has been developed in accordance with the latest trends in which fresh colours are used. 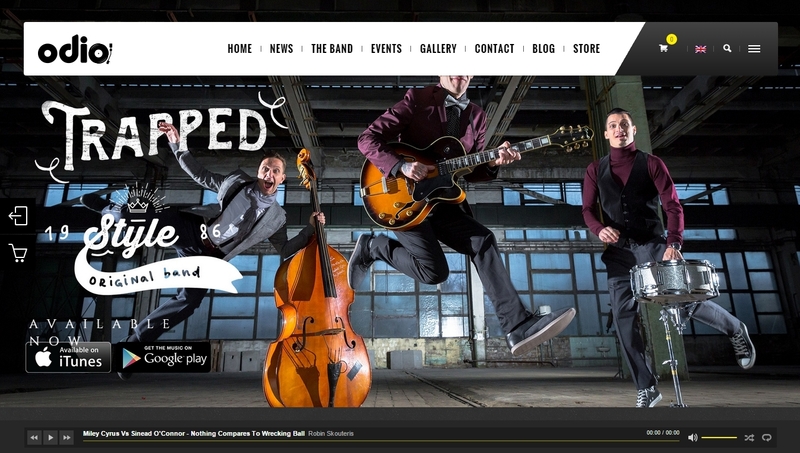 This WordPress template is created using HTML5 and CSS3. Asana is responsive and is designed for a full screen. EliteMasters is a business multi-purpose WordPress template that will ease your life. Download, install, import demo content and replace it with your own content. It is a perfect solution for those who value time. 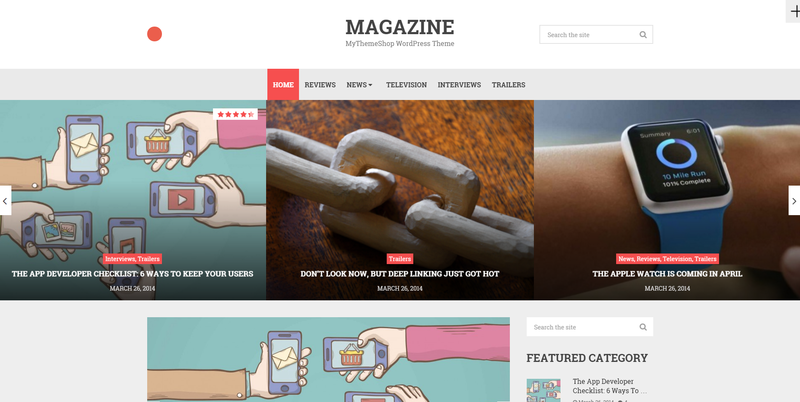 NewEdge is a template of a ready website for people, who are planning to create a website for news and magazine. Template that will help you in creating an attractive website and a big community for fans of different niches: sport, politics, health, fashion, technologies, business, culture, etc. The website template features 100% responsive design and is SEO-optimized. NewEdge has a user-friendly and easy-to-use interface to manage the template; it supports all languages and has other features that you may see by clicking “Theme Preview”. Don’t forget to click “Live Preview” to see how a WordPress website on the basis of this ready template works . 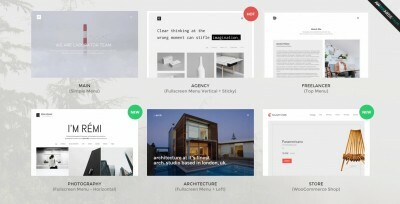 As a matter of fact, Ronneby is an entire collection – the best website templates in 2015. By purchasing one ready WordPress website template, you get 40+ layouts (ready templates for different spheres). You may use these templates for an online store (I advise you to look at the online store template design in the Shop category), blog, portfolio, creative and styling agency, for any company, for a promo website, for a website of a restaurant and any other eatery, and even for a fitness club website. Ronneby website templates are the ready websites for WordPress that are SEO-optimized and support Russian, feature 100% responsive design and unlimited number of features, using which you may create a quality and beautiful website! Grand is a pure and the best website template on WordPress for blog and magazine in minimalistic style that is built using latest WordPress technologies. It will be greatly suited for people who consider themselves as lifestylers, those who have something to tell, share stories and any life experience. Website template, Grand, features responsive design and intuitive dashboard. Its features provide nice integration of social networks and tools for promotion through Instragram, Flickr, Facebook, Twitter, Pinterest and Google Plus. 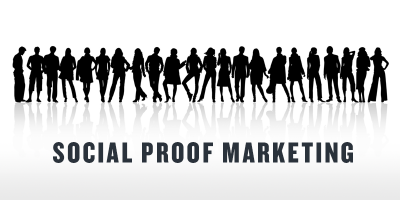 It is optimized for all the standard requirements of Google Webmaster, which is good for SEO. The same as the other templates in our list, Grand features custom typography settings: you may change font, style, colour and size without touching a code! If you like it, I advise you to attentively look through and examine it and its features by clicking “Theme Preview” and then “Live Preview”. 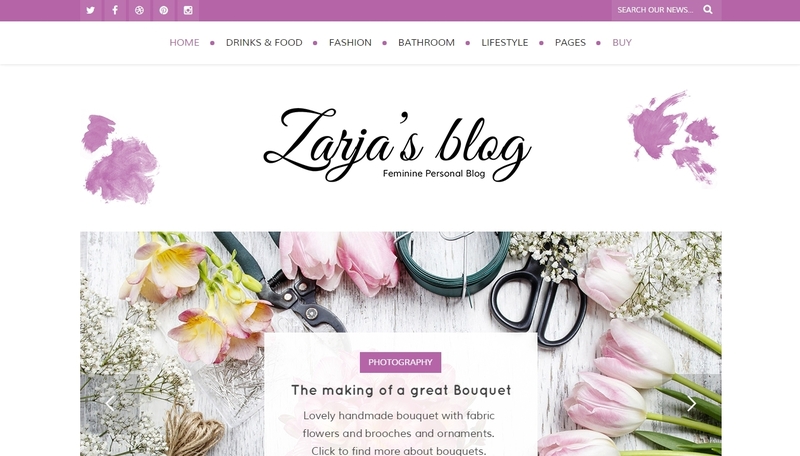 Website template with an online store is a wonderful solution for a blogger, who wants to sell anything through his website: whether it is a physical or virtual product (audio book, ordinary book, digital course, etc.). With a template that supports WooCommerce you may sell anything you want. Different features with a contemporary design will help you to create beautiful pages. Blog typography features provide good readability; the template includes Reading Progress feature that shows how much you still need to read till the end of an article. It also features SEO optimization and responsive design. Polar is one of the templates that are called professional and creative multi-purpose WordPress website templates with a refined design, which makes them one of the best templates for a ready website. Polar includes 15 ready templates for a website, which will help in instantly creating a website for business, creative work, portfolio, e-commerce, healthcare services, hosting services, a personal website and a website for any other types of activity. Polar features pure and neat code, which makes this template favourable for SEO. Responsive design will provide availability and navigation for mobile devices users. WPML, which is supported by all the templates in our review, will allow using this template even in Chinese. 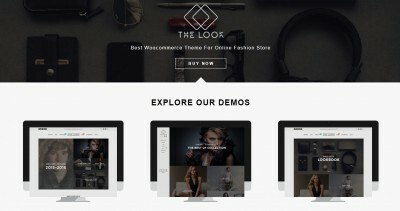 Space is a minimalistic pure WooCommerce website template. 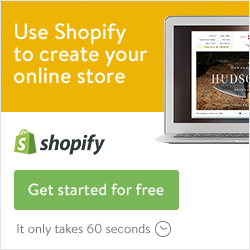 It is delivered with a big number of amazing features for developing your online store. It looks stunning on all screens and devices. Space template will suit greatly for accessories, handmade products, fashion and even digital products online store. Template already includes integrated features from MailChimp, Contact Form 7, Instagram Feed. You can easily manage currency rates and make your website multi-lingual with Poly Lang plug-in. Surely, you may see the majority of other interesting features by clicking “Theme Preview”. The best touristic template will fit greatly for hotels, apartments, resort cabana and cottages. Bellevue is a premium template for a website that includes everything you may expect from a premium WordPress theme. This WordPress template will help you to make the booking process easier and automatic, impress your visitors with a beautiful design and electronic payment capabilities, and turn your visitors into clients. Photography is an amazing template for portfolio websites with responsive and calling design. This template and its versions are built using latest WordPress technologies. It is perfectly suited for any creative personality: photographer, creative designer, design agency, etc. 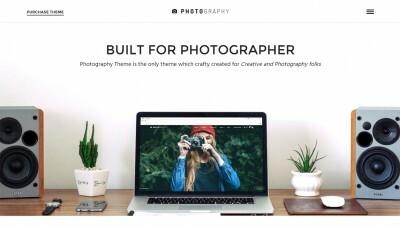 This template became the best solution for a photographer’s website. It has only positive feedback, and all clients that build their websites based on this template remain satisfied with a design and a lump of fancy features. Tour Travel Agency is a website template for a touring agency. It is the best solution of a ready website for a tour firm. Its modern design and settings allow you to have a magnificent website with fascinating design, which may be used for any tourism-related business. Developers worked hard to bring it to the top as the best touristic WordPress template for a ready website. Template includes all the features necessary for a modern touring agency. Look attentively how it works via “Live Preview”, but before that click “Theme Preview” to check out all the necessary features, such as WooCommerce and social networks integration, booking system, client management, etc. Rare is a WordPress template, which is rare in its way, and is a wonderful solution for travelling bloggers, but it also may be used by other bloggers that focus on pictures. Template’s design and functionality is based on Material design from Google; it doesn’t only look delightful, but it will certainly cause your website visitors feel good. It includes several nicely designed templates, which will help you in creating your website fast based on the template you like. Beautiful and light website design will greatly suit the news portal. Bitz is optimized for advertizing spaces and provides adaptability and SEO. Social networks integration is provided by the integrated Easy Social Sharing plug-in. Template has integrated comment systems from Facebook, Disqus, Google+ and many other useful features.